Mock Environment is a container for mock services, just like a real environment is a container for real services. Let’s create a test mock environment, a playground where you can experiment with your own mocks. Click on Mock Environments link in the left top corner of the application. 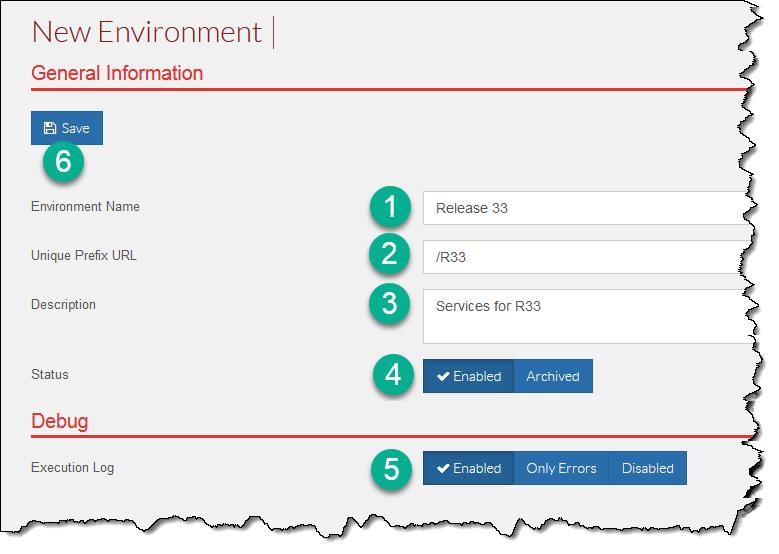 On the appeared Environments page, click on Add Environment button. Any name that you prefer call our environment. Say, “Release 33”, as in the screenshot. This is an unique URL prefix that only this environment will have. Any incoming request is routed to an environment that has a prefix matching the first segment of the request URL. Human-readable description for the environment. Soon you may have dozens of them, and the description can help to remember what is what.